Welcome to the Valentine's Day Prairie Fairy 1st DT Blog Hop. If you came here from Just Ducky's blog then you are on the right track! I did a spin on the whole Valentine's Day thing and this image of Lewis by Praire Fairy Designs suited perfectly. The theme at Fairy Fun Fridays 6 this week was Valentine's Day, but what I recalled was a statement that my eldest daughter made last Valentine's. You got it the sentiment on the card, needless to say she has a great sense of humour. I wonder what her response would be this year as she has been dating the same guy since last May and he will be in Argentina over Valentine's this year. Next hop spot is My Comfort Cottage's blog. Don't forget to leave a comment. Leave a comment at all the hop spots for an entry. Join the Prairie Fairy PCP group for an entry. Earn 5 entries if you show us a card with a Valentine's Day theme and uses a Prairie Fairy image!!!! To enter to win the additional hop candy I am providing please become a follower of my blog. If you are already a follower, please leave a comment about the candy. 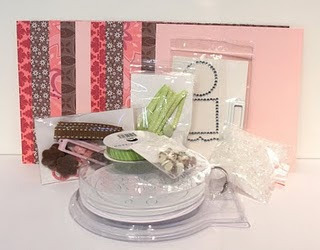 Welcome Neighbour 6x6 DSP package, clear mount Whimsical Words and wood mount Sprinkles SU Stamp sets. Hahahahaha Kelly, I love the sentiment, too true, too true!!!! That's the cutest little nerd I ever did see! LOL! LOVE the sentiment and the cute little googly-eyed guy! Hi beautiful card Kelly for this blog hop and love the design. Love the google eyes, just brings this young man to life! Oh what a fab image and sentiment - love it. Your card is darling and may I say it's the most "out of the box" valentine I've seen on this blog hop yet!! Great work!! wow Kelly.....great card with a stunning sentiment.....it's sooooo true!!! !......thanks for giving the chance to win your candy! That is the best sentiment for Valentine's Day EVER. Hope you (and your daughter) don't mind if I borrow it! Soo cute. I love it. Thanks for a chance to win your candy. What a hilarious sentiment, fits that image perfectly. Well, congratulations on the first Prairie Fairy DT Blog Hop. I’d made a note to myself to have a go at this tonight or tomorrow. What a gorgeous card. Thank you also for the chance of some blog candy from yourself. I'd love to be in with a chance of winning as I'd put it to good use in my cards that I make for charity. adorable card! i just love the sentiment and it suits the image so well! great job! hugs! Hi Jelly ~ Love this card! Super funny, those googlie eyes are just great! Very fun! You did a super job with this one! I love your work and your blog is very fun! I am follow'n along and would love for you to hop on over and follow along with me too! Thank you for the op to hop along with the Prarie Fairy Dt and have such a great time! He's a cutie! Great card and LOVe the image! Great card. Your daughter does have a wonderful sense of humor. That sentiment is a classic keeper. Poor Geek!! LOL....I am crazy for the googly eyes and that sentiment is priceless!! awesome blog candy! such yummy SU goodies girl! thanks so much for the chance! big hugs! Love your card - that's just so funny! Thanks for the chance to win some candy too! I signed up to be a follower. LOL, that card is hilarious! Great sense of humour! Love it. Nerds are cute and you did a great job with him. Great layout on your card. The sentiment on your card is a blast. Still chuckling. Great job on the blog hop card...I love the design. I put your candy on my blog (hopefully ...this is new for me)....lets all have fun!! Bwaahaahaa....OMG, that is just hilarious!!! Great card!! Oooooh! Love the candy... thanks for the laugh with the Valentine's sentiment!!! Hi Kelly! New follower here =) Great work on the card (love the googly eyes!) and thanks for doing such a fantastic blog candy!! The Valentine's sentiment makes me smile! What a fun card! Cute card Kelly! This little guy is super cute with the big old eyes! LOVE HIM! The sentiment is to die for Kelly!